Boyfriends, husbands, Dad’s…. notoriously hard to buy for! So many men are now realising the benefits of a proper skincare routine, so why not treat your man to some skincare classics? 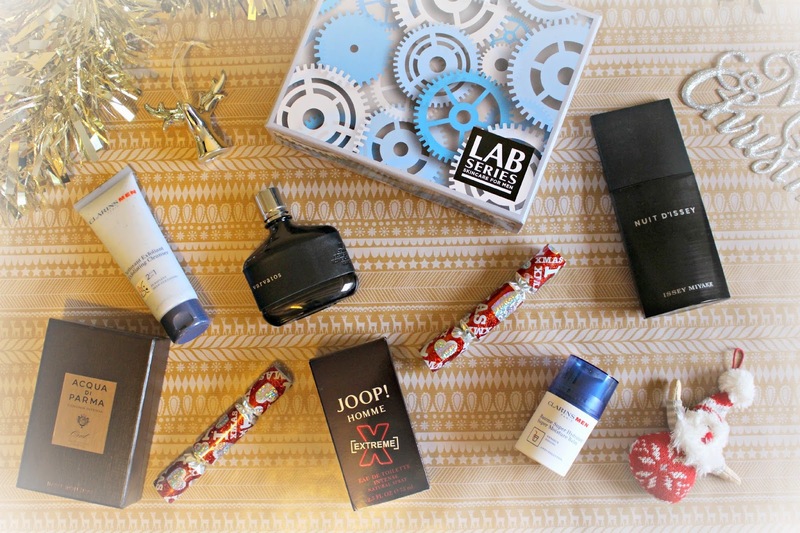 And you will rarely go wrong with a good aftershave so I’ve pulled together a selection of my favourite products for men – hopefully one of these goodies will inspire you to spoil the man in your life! Fragrance wise there’s a lot of choice out there, here’s my top four after shaves, one for every budget! For the Luxury Lover : Acqua di Parma, Oud. 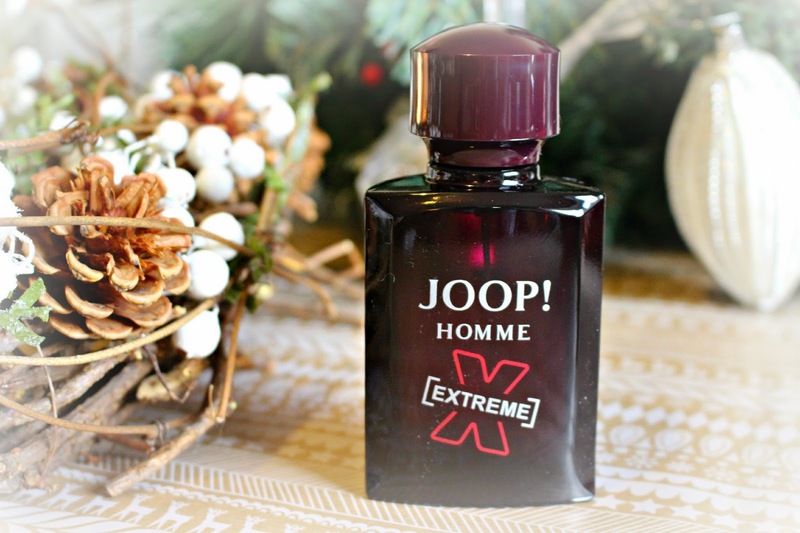 Hands down, the sexiest, sensual fragrance for the luxury loving man. It’s a unique, warm blend of italian freshness mixed with the richness of the Middle East. With Agarwood essential oil, citrusy notes but a deep Oud oil base, this long-lasting Eau De Cologne is the ultimate treat for a luxury loving gent. 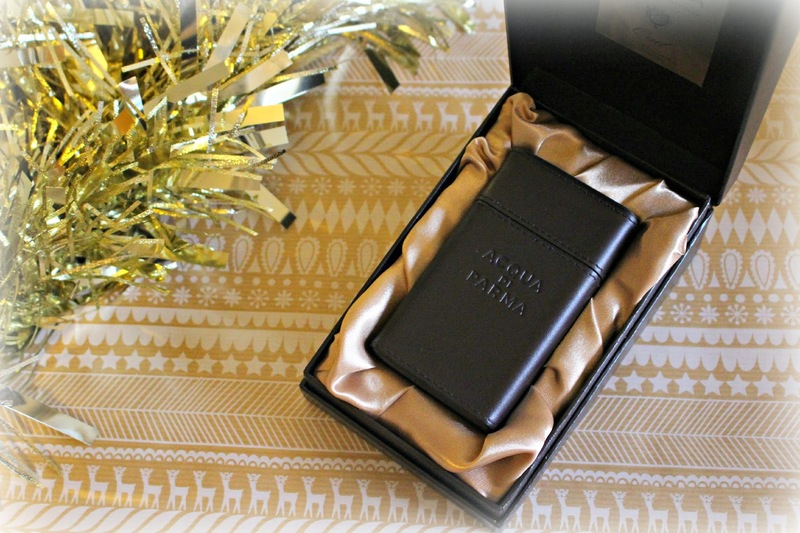 The packaging is beautiful too; encased in a leather covered bottle and tucked into a luxurious gold-lined box, this will be a perfect gift for him to unwrap! It’s £140 for 100ml from John Lewis here. For the Modern Man : Issey Miyake, Nuit d’Issey. Described by my man as ‘Evening fragrance, long lasting, musky…’ this Eau de Toilette has a fresh scent which evokes visions of a man in a sharp suit, propped up against the bar with a martini in his hand….ahem, back to the fragrance! With woody and leathery undertones, it’s easy and enjoyable to wear. The Perfume Shop has the 75ml bottle for £39.99 here. Another oriental, spicy fragrance with an untamed edge, this fragrance is luxurious but lighter than the Oud, and has an unrecognisable note which adds an air of fun and flintiness. It’s a symbol of seduction and known for being a fragrance that evokes a ‘physical’ sensation, so be careful who you gift this to 😉 75ml is £39.50 from The Perfume Shop. For the Traditional Gent: John Varvatos, John Varvatos Eau de Toilette. Spot the running theme here – this is also a woody, oriental toned fragrance but it’s traditional, memory-evoking scent could become an instant classic. It seems familiar, the scent is sophisticated and sensual and manages to be unique without taking any risks. You will find it on Debenhams.com, £43.00 for 75m. 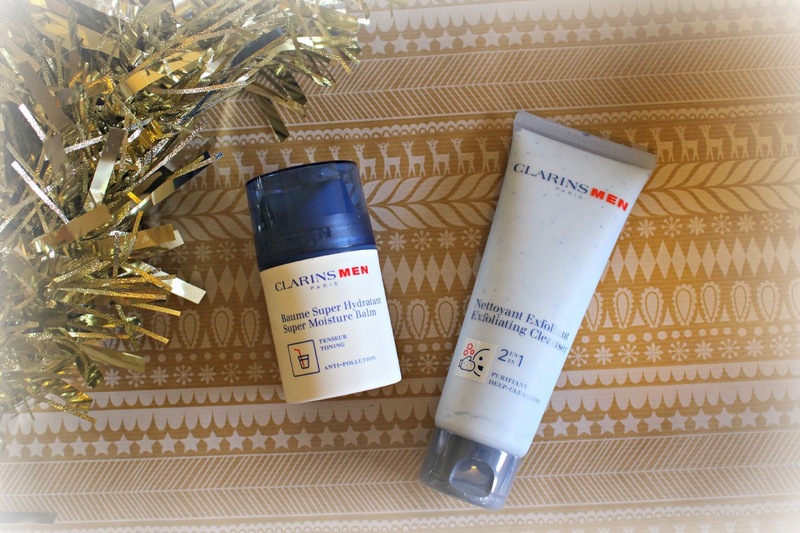 If you’re man is always pinching your skincare, then treat him to some products of his own this Christmas such as something from the Clarins Men range. I chose two products that are easy to use, multitasking, and still ‘manly’ – the Super Moisture Balm and also the Exfoliating Cleanser. You can find out your man’s skincare problem (such as dull skin, sensitivity, puffiness) and the Clarins website shows you which products are most suitable for each type. For Winter, the Super Moisture Balm is a failsafe option; runny noses, boozy lunches and outdoor sports make our men’s skin dry and irritated, so the Super Moisture Balm can help protect against pollution, and also revitalise and firm the skin. Similarly the 2 in 1 Exfoliating Cleanser helps refresh lack-lustre skin by reducing the drying effects that hard water has on the skin. Pollution and impurities are eliminated revealing a healthier complexion. He may not think about buying it for himself, but if by treating your man to some lovely skincare, you’ll open his eyes to the benefits of good products (and you can keep your products to yourself too!). Already bundled up into a perfect gift box is this skincare trio from Lab Series, available from Mankind.co.uk. The male version of LookFantastic, Mankind chooses the best skincare for men and gives clear advice on what they do, and how to use them. Men don’t want the hassle or potential embarrassment of discussing skincare issues with the glamourous girls on beauty counters, so I think a website dedicated to men’s skincare is such a super idea. Oh yes, back to the gift set! 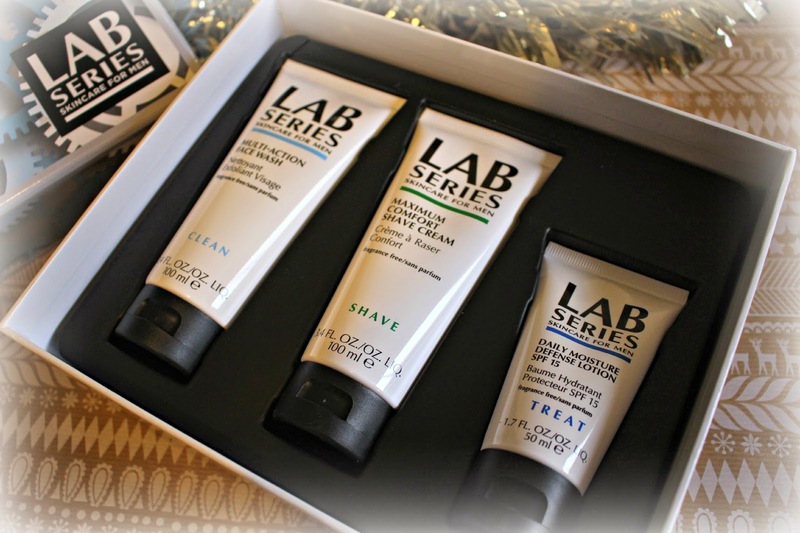 Lab Series is a brand that I often see popping up in my bathroom cabinet, and my man is quite hard to please so if it’s got his nod of approval, it must be good! This trio of products works well for normal to combination skin and contains full sized tubes of the Multi-Action Face Wash, the Maximum Comfort Shave Cream, and the Daily Moisture Defense Lotion – an ideal selection to kick of your man’s skincare routine. It’s available from Mankind.co.uk here for just £30.50, when the contents are worth over £60! 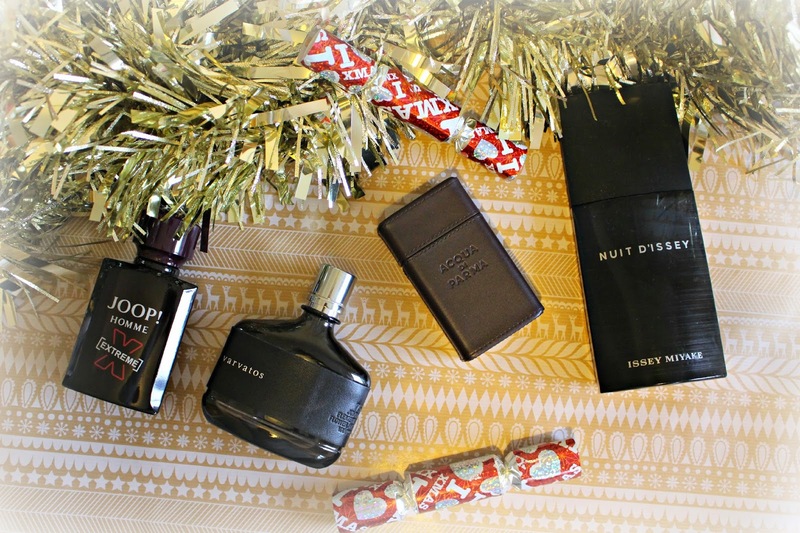 What will you be buying for your man this Christmas?